QLess takes home the GOLD -- again! 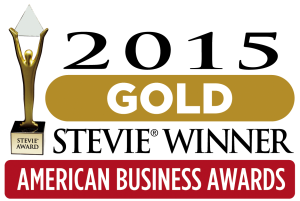 I am thrilled to share wonderful news: this month QLess earned the Gold Stevie Award for Company of the Year, the top honor in the "Best Computer Services" category from both the International Business Awards and the American Business Awards! In addition to this prestigious recognition, QLess has been awarded the Gold Stevie three consecutive years -- a testament to the excellence of our entire team and our amazing partners. Since then, QLess has helped businesses save over 1,000 years of time for more than 40 million customers -- an incredible accomplishment by a team of 30 employees. Over 200 professionals worldwide selected the 2015 Stevie Award winners from more than 3,700 nominations across 60 nations. Given the numerous computer service companies that improve our lives in infinite ways, it is humbling for QLess to receive this recognition from the IBA's panel of expert judges. "QLess is the exact service that we really need now!" We thank the International Business Awards for this recognition and congratulate our fellow honorees. We look forward to continuing to eliminate lines around the world!